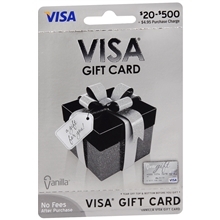 Vanilla Gift Cards (VISA Gift Cards) – These are great for just about anything it can be used at every retail location that VISA is accepted. Your father or grandfather may be saving up for a special treat whether its a new video game system or gardening supplies. I know for example with my husband he would either use it for more tools for work and a video game at game stop. My dad however would probably use it at home depot for gardening supplies or things to help fix up the backyard. My hubby is almost always buying air fresheners for the car. These would be a money saver and he would love you for it. They come and in many different scents from floral to fruity or even new car. I know I will be getting my hubby Macho Man for his car. Pink Zebra Sprinkles and Soaks really make your car and home smell fresh and relaxing. I keep them just about every where. Including on my desk at work. I love the fact that you can mix and match different scents to make your own scent. Gift Baskets from GourmetGiftBaskets.com – My dad and husband really enjoy cooking on the grill in the summer. Gourmet Gift Baskets offer amazing gift baskets for bar-barque enthusiasts as well as popcorn lovers, etc. There many baskets to choose from as well as a wide price range to fit any budget. This year we wanted to try out the Italian Dinner For Dads Basket and The BBQ Popcorn Collection box. GourmetGiftBaskets offers many different flavors of popcorn for popcorn lovers. Chelsea and I just love it when we are able to try the different kinds. ShedRain Umbrellas – Another great option for gifts for fathers is an Umbrella. They come in many sizes. They are definitely sturdy. I have had my first for several months and it has been accidentally stepped on and so much more. It still works as if it was brand new. During the Summer we like to put the umbrella up to give us some shade while we are working in garden or playing in the backyard. If you would like to learn more about their products click on the above link. LAVAZZA has a great last-minute gift set for Dad that would allow him to brew a cup of Joe on the go with his favorite grounds from Lavazza! Surprise the coffee connoisseur dad with the perfect traveling gift set for his morning commute. The Bodum Traveling French Press is an all-in-one brewer for the active dad; one that won’t sacrifice for quality. The gift set comes complete with a 12 ounce bag of Lavazza Gran Selezione Rainforest Alliance Certified™ Arabica blend and a 12 ounce bag of the newest Lavazza blend, Intenso Dark Roast. These coffee blend options and travel brewer are the perfect gift for the father that takes his coffee strong and prefers his quality high.